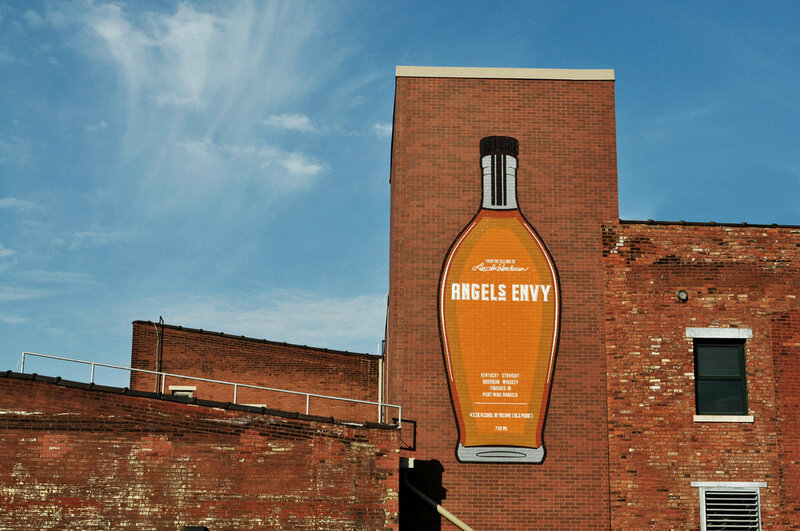 Recently completed the design and installation of several new Murals at Angel Envy's beautiful new Distillery in Downtown Louisville, KY.
Last week I had the pleasure of speaking at Creative Mornings Louisville. It was an honor to share my story, and talk about the challenges of pursuing something you love. As a sponsor of this month's Creative Morning's Louisville, Cocoon by Sealy commissioned me to design a letterpress print that was given out to ALL of the event's attendees (wow!). The 3-color, 12x12 prints turned out incredible, printed by Hounddog Press. I was recently honored to be featured as part of Hypebeast's "Pen & Paper" series. I was asked to submit several sketches of past work including a new sketch featuring Hypebeast's namesake. You can see more pics and read the article here. Recently, Smirnoff reached out to me about taking part in their Global Art Project initiative, designing a mural to be installed in Tokyo, Japan. The idea was to create a piece that was inclusive, allowing people in Tokyo to somehow be a part of the installation. In light of the approaching spring season in Japan, I loved the idea of people from the community submitting their hopes and wishes for the coming year, and include them in the artwork. At the start of March I traveled with Kirby Stafford to install the mural in the busy & energetic area of Shibuya. As soon as we arrived it was as if everything came together perfectly. The weather, people, and location made for an easy installation. Even more, having the chance to interact with the community, and share my work in such a beautiful city was an incredible opportunity.